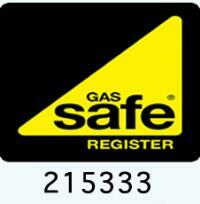 West Gas Service are Gas Safe registered heating engineers who supply and install gas boilers. For similar replacement boiler companies in this area please visit the Ashford boiler page. West Gas service offer plumbing&heating services within a 50 mile radius of Ashford Middlesex. We install new boilers, carry out boiler repairs and cover out of hours call outs., West gas have many testimonials from the public spreading back our 17 years in business. We can offer 7 years warranty on vaillant Eco tec plus boilers,and a massive 10 year warranty on baxi duo tec boilers. West Gas now offer LPG service and repairs,we also cover Catering repairs and installation in commercial or mobile units. I thoroughly recommend the team at West Gas Service. Ralph contacted me promptly following my enquiry on Boiler Guide. He worked around my schedule, responded quickly to every email and text, and provided a very competitive, clearly described quote. I had no hesitation in engaging their services for my boiler replacement. Once again, Ralph was happy to work to my schedule. The boiler install was done swiftly and professionally with all debris removed. All in all, excellent customer service. Very pleased with both the quote and the professional service. I would highly recommend this company. West Gas Service gave us the most competitive quote and installed a new Vaillant boiler in our property. Ralph was very professional and polite. Would recommend again. My 20+year old boiler was recently replaced and additional work on the underfloor pipes all done very efficiently and effectively by Ralph of West Gas Service. He is a complete professional, a thoroughly lovely guy who knows his stuff and I would highly recommend him. Ralph have completed my boiler instation. I was very happy with the quote and later I was very pleased with the service provided by him. He answered to all my question in a very simply way so that I could understand. Ralph Watson was a complete professional, he was polite and of a very pleasant disposition, he was most punctual each day, explained all he was doing and why it was being carried out, he made a suggestion to reposition new boiler and carried out work. Could not recommend "Westgas" highly enough. very happy with whole experience and outcome. Although they weren't the cheapest, I felt comfortable with Ralph and his guys and respected the fact he recommended a higher spec boiler and warranty and stood his ground when up against a cheaper quote.. They were friendly, turned up on time, kept the workspace tidy and finished the work promptly and professionally. Job carried out with extreme tidiness,safety consideration, with every attention paid to detail with regard to pipework layout and all installations.Attention given to additional related problems and good advice. Completed in time and premises left clean and tidy.Would highly recommend and use again. West Gas were excellent - from the moment they visited the property to give the quote to when they finished, cleaned the site and left. The quote was competitive (not the cheapest, but definitely value for money), they turned up as promised (actually earlier!) and finished on time. Whilst on site, they also carried out extra work without extra charge. I would highly recommend West Gas, the company is run by 2 ex-British Gas professional fitters (Jason & Ralph) who are decent, honest gentlemen who truly know their trade and also pride in their work - qualities that are very rare and hard to find. Brilliant and outstanding service. After moving into my new home I needed a new Gas Central Heating system, as I couldn't bare the thought of living with storage heaters. So I contacted West Gas after reading about them on this site and met with Jason, who explained what choice of Combi boilers there was and what would suit me. I went with a Vaillant and 5 Rads, along with requesting two extra jobs, one was to have a Gas pipe made available so I could have a choice to have a Gas Hob or Cooker instead of all Electric, and the second request was for the removel of my walk in shower, as my Daughter and myself wanted a Bath back. Jason and Ralph gave a very reasonable quote, along with explaining everything on how the work would be done and that completion would be within 3 days! True to their word and a rarity all was completed to a very professional standard and I would definitely recommend them to others. Westgas called us the day after we requested a quote via boilerguide and visited within a few days to provide an estimate. A quote to have the central heating system replaced as well as some radiators was provided within a week and was not that different to the estimate. We were given various options as to which boiler system would be suitable for our house and energy efficiency, and we were also given a recommendation which we went with. Westgas were professional, got the job done in a timely manner and most importantly, provided great customer service. I would definitely recommend using Westgas and i will certainly be using them again to have my bathroom replaced. Installed a new boiler, thermostatic radiator valves and magna clean. Very knowledgable and was able to explain the work in such a way that I could understand. Arrived on time to provide quote and on the day of the work. Completed the work in 6hrs. Even managed to fix the leaking kitchen sink bowl. Excellent all round. Would certainly use again and recommend to others. I was called by Ralph at West Gas very quickly after requesting quotes via Boiler Guide. Ralph arranged to come out the same day and provide a quote which was extremely impressive. Ralph spent the longest with me out of all 3 quoting companies. He seemed to be the only one that actually thought about how the installation would work, checking existing pipes etc. He was very knowledgeable and put everything into simple speak for me. Whilst the quote was actually the middle of the three we got we decided to go with West Gas due to the professionalism and knowledge demonstrated by Ralph. They were able to start work almost immediately, pretty incredible when the temperature had just rapidly dropped to -degrees and work loads naturally increase. The quality of the work is fantastic, and everything works perfectly. There was a slight problem with our toilet following the change of system and Ralph had someone straight back out the next day to resolve. Highly recommended company based on professionalism of Ralph and the team, the knowledge displayed (we had some questionable advice from others) and the quality of work provided. We were very pleased with the work West Gas conducted on our property, which involved the fitting of a new boiler and hot water tank. Ralph had clear technical knowledge and was very quick to respond to any questions I had. The work was done very professionally and left the house very clean and tidy. I have been very impressed with West Gas Ltd. I was contacted by Jason who was able to arrange a visit to my property very quickly and promptly got a quote to me that was both thorough and competitive. They were able to replace my boiler just a few days later. Both Jason and Ralf arrived on time, made minimal disruption and the job was complete in under two days. They patiently answered any questions I had and nothing was too much trouble. I had not heard of West Gas before but decided to take a risk and accepted their quote on the basis of other peoples positive feedback. I wanted to add to this feedback as I too found them reliable, helpful and honest. I would use them again and recommend them to others. Jason contacted me quickly and provided a good value quote with a practical and friendly approach, and were able to answer any questions. The work was scheduled, they turned up on time and the new boiler was fitted. They explained thoroughly how it all worked and made sure I was content. I am very pleased with the result. ralph was very good, reliable and resonable quote.Iwill definately reccomend him ,and use his company again. From the very first contact Ralph inspired confidence, providing a definite quote very quickly. During the visit to carry out an assessment he explained the pros and cons of different boilers in great detail. Advice given was tailor made for our needs. He was not pushy like some of the other tradesman who offered us the quote and I was impressed with his knowledge in this subject. I had series of email exchanges with him for some further clarifications but every time the response was adequate and satisfactory. One of the very important thing I was concerned about was running a wire for pump overrun as we recently had our house redecorated and did not want to rip things apart for running the wire to the pump. But Ralph had a plan in mind and he re-wired the existing setup so that it was achieved without having any new physical wire installed at all. This clearly demonstrate his expertise to overcome obstacles yet achieve the results as all other quotes I received stated that extra wire is required and no one could think about re-wiring the existing setup. The actual work was carried by Jason who is very punctual, friendly, down to earth, soft spoken yet very professional and was very effective during the installation. He finished the installation in one and a half days and even visited us back in two weeks’ time to ensure everything is well with the heating system. West Gas quote for the installation was slightly higher when compared to others but we are very pleased with the outcome and assurance that genuine professional aid is just a phone call away if we need in future. We have no hesitation recommending West Gas to anyone. If you want to have quality work done in timely, friendly yet professional manner then West Gas is the company to look forward to. Thank you Ralph and Jason at West Gas! West Gas were very propt with the estimate and very informative with what was required, Being an engineer this was what I expected.When the work was carried out I was pleasantly surprised at the extent of knowledge regarding what was quite a tricky conversion from one system to another, the work was caried out smoothly very professionally and they just seem to know how to overcome any little hiccups. The price was spot on within the estimates and a phone call from Ralph at West Gas came a week later to make sure all was working well, Really great guys and very good manners, Brilliant, would recommend them any time and will use them soon for a bedroom/bathroom conversion, First class. What a shame Northern gas and Southern gas could not be bothered to turn up to give there quotes. Ralph@Westgate contacted me quickly & and arrived on time. I had seen 2 companies beforehand but Ralph was the first to talk to me like Human being & not a money sign. I found them down to earth, easy to talk to and reliable. I will now always contact them for all my plumbing problems and will not hesitate to refer on to other people! !